Live streaming video platform Twitch on Tuesday announced the dates for what will be the third annual TwitchCon gaming convention. Twitch said the popular gathering will kick off on October 20 and run through October 22 at the Long Beach Convention & Entertainment Center in Long Beach, California – the third venue in as many years. As you may recall, the inaugural TwitchCon was held at the Moscone Center in San Francisco, the same venue that Apple frequently uses for product reveals. Last year, the Amazon-owned company moved the festivities to the San Diego Convention Center and tacked on an extra day, thus making it a three-day affair. To say that the convention has been a success would be a massive understatement. The first event in 2015 attracted roughly 20,000 attendees with another 1.9 million or so tuning in online. A year later, 35,000 people passed through the convention doors to see what all the fuss was about. The 2017 edition has the potential to be the largest yet. 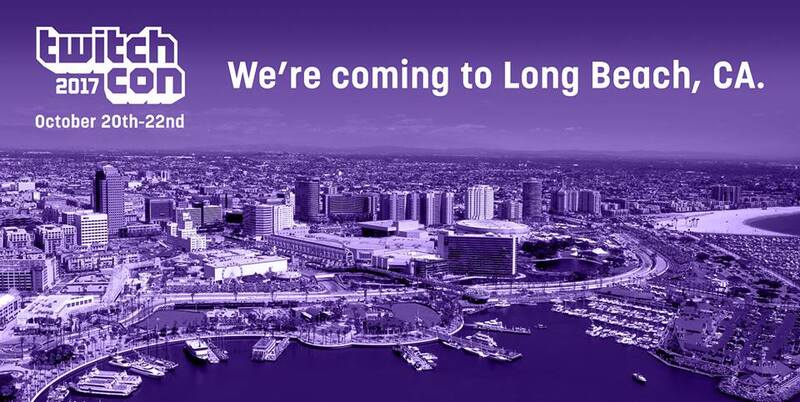 Twitch said it moved to the Long Beach Convention & Entertainment Center due to its design and location. The venue boasts an “impressive” main theater and arena with some 150 restaurants in a 10-block radius of the show. Twitch said the convention center is served by three airports and has multiple hotels nearby to accommodate out-of-town guests. More details including ticket pricing and scheduling will be revealed in the coming months, we’re told.